Featured amenities include luggage storage and coffee/tea in a common area. 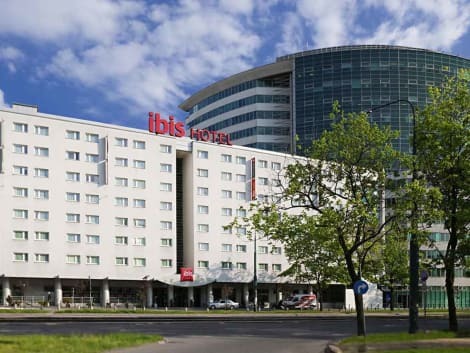 The Hotel ibis Warszawa Centrum is located right in the center of the city, not far from the Old Town and the capital's business district. The hotel is just 2 miles (3 km) from the Palace of Culture and Science. Its location ensures an easy journey to the Central Station and Okecie airport. The hotel has 189 comfortable, air-conditioned rooms, 6 conference rooms, a restaurant, a bar and an underground car park (charges apply). Business guests will appreciate the wireless internet access. A stay at Top Floor Hostel places you in the heart of Warsaw, walking distance from Parliament House and Museum of the Earth. This hostel is close to Lazienki Park and Royal Castle.Rooms Make yourself at home in one of the 138 guestrooms. Prepare your meals in the shared/communal kitchen. Complimentary wireless Internet access is available to keep you connected. Bathrooms with showers are provided.Business, Other Amenities The front desk is staffed during limited hours.